A bee hive is an integral part of everyone's beekeeping experience, and in many ways it can be regarded as one of the most important beekeeping tools. Throughout the history of human interaction with the honey bees, and especially during the last couple of hundreds of years, the home of the honey bee evolved from a hollow tree in the forest to a movable beehive with movable frames. Although today only a few hive designs are made industrially, hundreds, or maybe even thousands of different beehives were, or still are used by the beekeepers worldwide, each suited to the local climate, honey bee species/races, or the goals and affinities of the beekeepers that use them. For the most part of the beekeeping history the beekeepers were making their own beehives using the materials that was at their disposal, and even today many, especially backyard beekeepers, take a great pleasure designing and making their own bee hives. The "Woodworking for Beekeepers" workshop aims to introduce the passion of hive building to those that feel that they are not being big enough nerds by just keeping the bee colonies on their roof tops, or backyards (to the shock of their neighbors), and that want to explore the beehive designs and start building their own hives, either for a pure pleasure, or to save some money doing it. 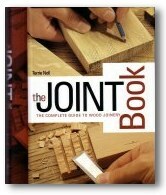 - Basic joinery used in bee hive building and furniture making, etc. The 4-day workshop will take place over two weekends. Please get in touch with us if you are interested in taking the workshop. Included in the price ($600 + tx), are all the materials, and for the limited time, home cooked lunches, coffee, drinks, and sacks, as well a joinery handbook for each participant. All the tools and the personal safety equipment (safety goggles, hearing protection, and dust masks) for each of the participants will be provided for the workshop. Maximum 5 places/session. Adults only! Please contact us for any questions regarding the workshop, registration, or the refund policy.